What are positive birth affirmations and how do I use them? 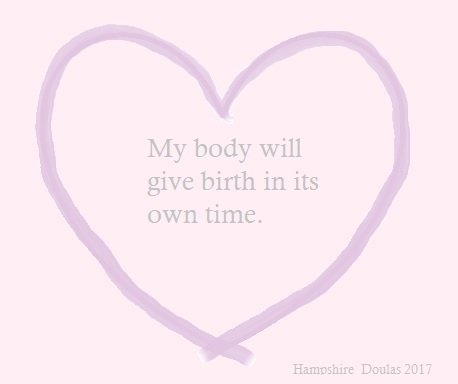 Doulas, above everything else, are positive about birth and about women and about new families. One of the most outstanding benefits of inviting a doula to your birth is the positive way she will talk to you and encourage you. Sometimes (especially as women and especially as British people) we’re not all that kind to ourselves and thinking positive thoughts about ourselves and our abilities doesn’t always come easily. This is one reason positive birth affirmations can be so helpful. Make your own or print ours if you like. Stick them around your house where you will see them when you’re going about your day and read them every time you pass. That repetition of thought will make those thoughts start to get into your brain. Then when you’re in labour you can choose the one that works for you and repeat it to yourself as you breathe through your contractions. If your baby has arrived already you might find the positive affirmations for life with a new baby more useful. I love my baby and I am doing all that is necessary to bring about a healthy birth. This one can be helpful as you’re planning your birth, especially if you’re making choices that are not in the normal routine of things. People may say discouraging things to you but focusing on why you make your decisions and remembering you’re making good choices for you and your baby is important. It can also be helpful if you reach a point in labour when you make a different choice to your first choice birth plan you might need to help yourself focus on letting go of that first choice and feeling positive about your new choice knowing you’ve made it for good reasons. 2. 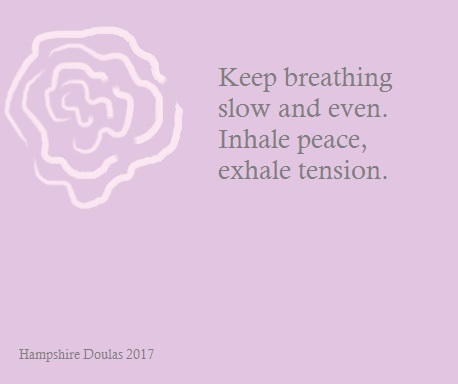 Keep breathing slow and even. Inhale peace, exhale tension. This is a good affirmation for anytime you need to relax, for times you feel stressed while pregnant and as your contractions start to feel like really hard work during labour and then when you’re holding your new baby wondering at the enormous love and responsibility you’ve taken on. 3. I feel the love of others around me. It’s always good to remember as we birth we’re never alone, we’re surrounded by the love of the long line of birthing women we come from. The love of our sisters (by blood and by choice). One of the most positive things you can do for yourself as you prepare for your birth is to surround yourself with that support. Hang out with people who tell positive birth stories. Prep your birth partners to focus on increasing your oxytocin through every stage of your labour. Always remember if someone is in your birth space and is not helping you feel the love you have the right to ask them to leave no matter who they are. 4. My body will give birth in its own time. Due dates are just estimates. Guidelines that stipulate a certain number of centimetres of dilation per hour are not the rules. There are no rules in how birth unfolds. If you’re happy and your baby is happy it’s all good. 5. 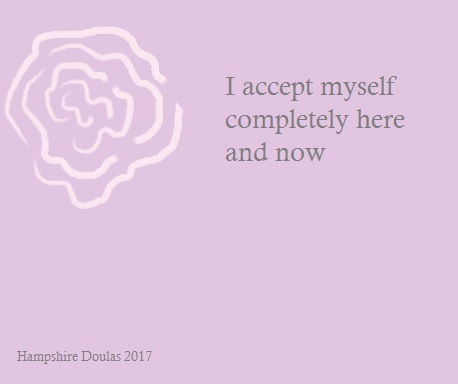 I accept myself completely here and now. Each birth is a new adventure for you and how you deal with contractions, the choices you make and the way you feel in each moment is always okay. Birth is not a pass or fail event it’s part of your journey and it’s up to you to speak kindly to yourself and accept how you feel and love yourself through each moment. ← What’s in your bag? What is it like having a doula? Fear, Pain and Rhythm in Labour and Birth. A Postnatal Plan. What’s that and should I have one?